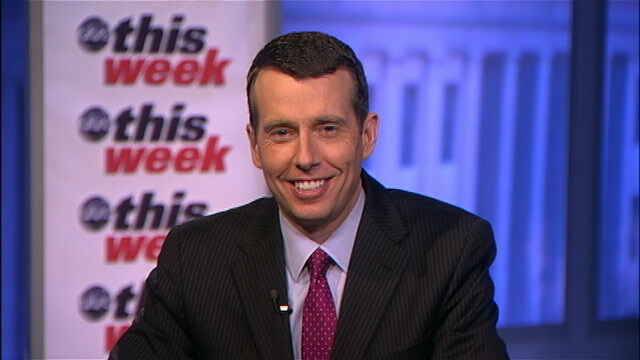 White House adviser David Plouffe appears on "This Week." STEPHANOPOULOS (voice-over): Good morning, and welcome to "This Week." STEPHANOPOULOS: Only June, it feels like October. OBAMA: You can move this nation forward. STEPHANOPOULOS: With dueling speeches on the economy and jobs. ROMNEY: If you think the president's right when he said the private sector is doing fine, well, then he's the guy to vote for. OBAMA: If you want to give the policies of the last decade another try, then you should vote for Mr. Romney. STEPHANOPOULOS: The challenger's bus trip through the battlegrounds. ROMNEY: I am going the win Pennsylvania. STEPHANOPOULOS: As the president flexes executive muscle from the Rose Garden. OBAMA: We are a better nation than one that expels innocent young kids. ROMNEY: It's unfortunate that this sort of things comes up four-and-a-half months before the election. STEPHANOPOULOS: Is Obama's immigration announcement moral triumph or political power grab? Does Romney need more than a stalling economy to beat a sitting president? What must each campaign do to break a dead-even race? All that this morning with the president's senior adviser David Plouffe, and Romney campaign co-chair Tim Pawlenty joins our powerhouse roundtable with George Will, Austan Goolsbee, Katrina vanden Heuvel, and Matthew Dowd. ANNOUNCER: From ABC News, "This Week" with George Stephanopoulos. It's your voice, your vote. Reporting from ABC News election headquarters, George Stephanopoulos. STEPHANOPOULOS: Hello again, and happy Father's Day to all the dads watching. STEPHANOPOULOS: Hello again, and happy Father's Day to all the dads watching. And as you just heard, so much going on this week, and all our guests ready to weigh in, so let's get right to it with President Obama's senior adviser, David Plouffe. PLOUFFE: To you, as well, George. STEPHANOPOULOS: Let's begin with that immigration announcement the president made in the Rose Garden on Friday. Governor Romney has already criticized it. This morning, he's out in a new interview saying it was political, that if the president was serious about immigration reform, he would have gotten it done before now. What's your response? PLOUFFE: Well, George, it's ironic coming from Governor Romney, who said he would veto the DREAM Act, whose immigration policy during the primary seemed to consist of just sending 11 million people home, asking them to self-deport. We tried, as you know -- you covered it -- we've tried as hard as we can to pass both the DREAM Act and comprehensive immigration reform. Congress has refused. Now, this is not a permanent solution. This simply gives Homeland Security and our law enforcement officials the opportunity to enforce the law with some discretion and allows these young people, who came here many times early in their life, who want to serve in our military and work in our businesses and study in our colleges, the ability to apply for a two-year period for work authorization. So we still need a permanent fix. The president would sign the DREAM Act tomorrow, the next day, the day after that. That's ultimately the only way to fix this, is for congressional action. But in the interim, this is a smart step by the Homeland Security Department. STEPHANOPOULOS: But other Republicans have said it's an overstepping of the president's constitutional authority. Senator Jeff Sessions of the Senate Judiciary Committee says the president's -- this is a prosecutorial policy not to enforce plain law. And the president did seem to suggest last year that he couldn't take this kind of action on his own. Take a look. OBAMA: There are enough laws on the books by Congress that are very clear in terms of how we have to enforce our immigration system, that for me to simply through executive order ignore those congressional mandates would not conform with my appropriate role as president. STEPHANOPOULOS: But isn't that what the president's doing now? PLOUFFE: It's not, George. What the president was speaking about is he couldn't through executive order essentially establish the DREAM Act. And that's not what we did this week. You know, our attorneys -- the homeland security attorneys -- are absolutely confident this is within our authority, to use some discretion. And this builds on a series of steps we've taken to try and make sure that we're focusing on tougher border security, that we are deporting criminals, people who pose a threat to our community, not people who are just trying to live the American dream. So this -- again, this is not a permanent fix. This for a two-year period allows people to try and apply for work authorization. All of those applications will be reviewed. But we need Congress to act here. You know, I'll take this to the economy, George. There was a remarkable story this week where members of Congress in the Republican caucus were openly talking about doing nothing on the economy over the next five months because it would help Mitt Romney. And so whether it's failing to move forward on the DREAM Act, failing to move forward on putting teachers back to work, failing to do all the things we could do right now to help the economy and middle class, this Congress is just saying no. And that's one of the choices the American people have. You know, our opponent, Governor Romney, is with John Boehner today, the speaker of the House, and that's fitting, because, you know, eventually Governor Romney is going to choose a vice presidential candidate, but his running mate really from a policy standpoint is this congressional Republican agenda. And it's -- it's the wrong policies for this country. They want to return us back to the same policies that caused the recession, huge tax cuts for the wealthy, more war, more debt. And independent economists last week just said the Romney congressional agenda would cause us harm in the short term economically and slow down the recovery. So that's the wrong direction. STEPHANOPOULOS: More war? Where are the Republicans calling for more war? PLOUFFE: ... in a way that allows them to be competitive. STEPHANOPOULOS: Let's talk a little bit more about the economy. More signs of a stall this week. Retail sales down; industrial production down; jobless claims are up. And all that before today's vote in Greece, which could really send shockwaves through the global economy. How concerned is the president about that outcome? And is there anything more he can do to contain that crisis? PLOUFFE: Well, the president's spoken that there's no doubt that we're experiencing some headwinds from Europe, as we have in previous years, and they're obviously a big destination for our exporters and our goods. And so this is affecting our economy. It's affecting the global economy. Obviously, he's meeting with some of the world's leaders down in Mexico for the next couple of days. And we're going to continue to make the case -- we have some experience in this. You know, we -- we dealt with our financial crisis. None of the steps were easy. They were all politically hard, but stepped up and stabilized our financial system and the economy. So this is within the power of the Europeans to act. And obviously, there's a lot of discussion about things like deposit insurance and banking unions. And there's no question that, you know, I think there will be progress made over the next couple days, but no one should expect a firm resolution. PLOUFFE: The European leaders are getting together at the end of June, and that's really hopefully where we'll see more confidence and progress that they can handle this. STEPHANOPOULOS: Governor Romney said there's no way that he would send American checks to European banks or to stabilize the European financial system. Will the president make that same commitment? PLOUFFE: Well, listen, the president said very clearly, this -- first of all, this is the Europeans' responsibility to solve this, and it's within their power to so. I think there can be some lessons learned for how we dealt with our crisis. And, again, tough steps, none of them easy. I will say something about -- you mentioned Governor Romney in Europe. Well, it was remarkable. I mentioned that you see Republicans in Congress here saying they don't want to do anything on the economy over the next few months so it helps Governor Romney, his chief economic adviser, Glenn Hubbard, wrote an op-en, an article in Germany, that basically went against what our government is trying to do, to encourage the Europeans to take action. It was a remarkable thing to see and really unprecedented. STEPHANOPOULOS: Think he crossed a line? PLOUFFE: I think he did. Listen, as we started this exchange, we're facing headwinds from Europe. Europe doing the right things here to stabilize their situation is important to our small businesses, our workers, the middle class here, and overall economy. And to inject yourself in this for some short-sighted partisan gain, perhaps, is really unbelievable. STEPHANOPOULOS: Let's talk about health care. Could see a Supreme Court decision as early as this week. And Justice Ginsburg was hinting that you could see more division when that comes out. She spoke Friday night. GINSBURG: One may expect many of the most controversial cases remain pending, so it is likely that the sharp disagreement rate will go up next week and the weeks after. STEPHANOPOULOS: I know you and the president believe that the Supreme Court is going to uphold the president's health care law. A lot of people, though, disagree. And what is your Plan B if it goes down? PLOUFFE: Well, George, we do believe it's constitutional, and we -- we hope and expect that's the decision the court will render. I'm not going to get into any contingencies. We obviously will be prepared for whatever decision the court renders. I do think that it's important to focus on what the health care law is already doing. We just saw a report this week that now 5.5 million people between the ages of 18 and 26 are able to stay on their parents' plan, millions of seniors saving thousands of dollars in prescription drugs, free preventive care, free mammography for folks. So this is making a big difference. We believe it's constitutional. I'm not going to get into what we may or may not do after a decision, but we will be prepared in any eventuality. STEPHANOPOULOS: OK, David Plouffe, thanks very much. STEPHANOPOULOS: And as our roundtable takes their seats, take a look at more -- at a Colorado focus group conducted by the Annenberg Center this week. It's pretty clear that neither candidate is close to closing the deal with these undecided voters. (UNKNOWN): I don't see either one sticking out in any way that makes me levitate towards either side. There's nothing being said that -- that I believe I buy into yet. (UNKNOWN): I don't know if you know to trust what either side is saying or what they'll do, or are they just saying it to get elected and then wait and see? (UNKNOWN): Economically, things seem to be getting worse. And I -- I don't see how they're going to get better with who's in charge. STEPHANOPOULOS: They still haven't found what they're looking for. We're going to talk now about it now in our roundtable, joined as always by George will, Katrina vanden Heuvel, editor and publisher of The Nation magazine, our political analyst, Matthew Dowd, Austan Goolsbee, former head of President Obama's Council of Economic Advisers, and former presidential candidate, Governor of Minnesota Tim Pawlenty, now co-chair of the Romney campaign. And, George, let's talk a little bit more about where these undecided voters are right now. We also did a poll this week of independents on the president's economic plans. Take a look at what it shows. They don't like either one: 54 percent unfavorable for the president's economic plan, only 38 percent favorable. A little better for Mitt Romney, 47 percent-35 percent. They don't know as much about his plans. But then we saw these dueling speeches by the candidates this week. Did either candidate you see provide the roadmap you think these voters are looking for? WILL: I don't think so. And the roadmap will be provided by numbers, such as the following. Fifty-five months after the beginning of the Reagan-Volcker recession of the early '80s, 55 months after it began, there were 7.5 million more jobs in this country than when the recession began. We're now 55 months after the beginning of this recession, and there are 4 million fewer jobs than when it began. So, again, it's going to come down to a four-letter word, jobs. STEPHANOPOULOS: But the big question is, how much is President Obama to blame for this? Let me bring you to Austan Goolsbee. You heard Governor Romney's speech this week. He said basically the president has had three-and-a-half years to do this job, he hasn't gotten it done. GOOLSBEE: You know, I think you saw the dueling speeches the way it's going to play out. A, there's a backdrop of the economy's growing, but it's growing modestly, so that's not providing a big boost to the president, but nor is it really condemning him. And the Romney speech was essentially, things aren't great, therefore, don't vote for the president. And the president's speech was, this is a comparison, and the Romney plan is just taking us back to where we were before. That's the debate that's going to play out. And we don't know whether people are -- want it to just be a referendum on how the economy's doing, or do they want it to be a comparison? STEPHANOPOULOS: And you saw Governor Pawlenty -- you heard David Plouffe right there said basically this was a distillation of a big part of the president's message, Governor Romney would bring us back to the policies of George W. Bush that you didn't like that increased the deficit. PAWLENTY: Well, not long after President Obama said the private sector is doing fine, which is obviously incorrect and detached and disconnected from reality, he gives a nearly hour-long speech in Ohio where he says nothing new, offers no new proposals. And it really looks to me like a shrinking presidency. And so you have a president who -- you've got a majority of the country who says it's on the wrong track. And you've got Governor Romney saying, look, he had three-and-a-half years. He had his approach. He had a Democratic Congress. It didn't work. And so we have 23 million Americans unemployed, underemployed, have given up looking for work. And on that record, with over 8.5 percent unemployment, the president is out of ideas, and he's out of time, and now he should be out of office. STEPHANOPOULOS: Katrina, you wrote in The Nation this week that the president should be re-litigating the past more. And you saw some of that. VANDEN HEUVEL: Yeah, I think he should. I mean, I just want to say, when you listen to that focus group, though, you understand the yearning in this country for a politics of the 99 percent, in a sense, a fair sense for millions of Americans that the government, the system is rigged against them, dominated by special insider interests, corporate money, and they want to reclaim a government that works for average people. But I do think that the president needs to make this election a choice, not a referendum, and that is partly about pointing to the Bush-era policies that polls show millions of Americans hold accountable, but also he needs to get out there, be consistent, clearer in saying I'm fighting every day for jobs for Americans, which have been held up by the roadblock inside Washington. I'm going to invest in this country, and I'm not going to let Mitt Romney, my opponent, gut the backbone of communities in this country, the hard-fighting police, firefighters, teachers, the ones who go to work every day to make our air, water cleaner. STEPHANOPOULOS: And one thing you heard, Matthew Dowd, that the president has to do a little less of -- at least from his Democratic allies, James Carville, Stan Greenberg -- saying stop talking about the progress being made in the last three-and-a-half years, however tenuous it may be, because people simply don't have ears to hear it. DOWD: Well, that's -- I mean, I totally agree with James on that. That is a debate that happened, actually, in 2004 in the Bush campaign. There was people that think like you can talk up to change the wrong track or the country by saying it's better, it's better and better, and what happens is you become more disconnected from where the country is. I think the problem is -- and I agree with Katrina -- if this is a referendum on the president, he loses. He loses. And that is a commentary on where the state of country is, the people that -- majority of the country thinks we're off on the wrong track, but it also is going to be a commentary on the campaign. He has to disqualify Mitt Romney. If he's going to get re-elected president of the United States, he has to disqualify Mitt Romney in this race. It's the only way he can win. And I think that's the mistake they've made over the last month-and-a-half, is they've spent too much time talking about how great their policies are and how what they've done -- when the country just does not believe it. STEPHANOPOULOS: One thing they also did in this speech, George, is talk a little bit -- the president didn't really talk about Mitt Romney's record. It was much more focused on Mitt Romney -- what Mitt Romney would do as president. You heard more of that from David Plouffe today, saying basically if you like the agenda of the Republican Congress, that's what Mitt Romney is going to bring in. WILL: Well, Democrats ran against Herbert Hoover for a generation. They're going to run against George Bush for another generation, neither of which is -- going to be on the ballot this year. The point is surely that they have to say that Mitt Romney somehow is dangerous in office, and how they'll do that, I suppose, is by saying he wants to dismantle the welfare state, he's an extremist, the Paul Ryan budget, something else, but they're going to have to broaden this beyond Mitt Romney's character and Mitt Romney -- I mean, Bain didn't work. GOOLSBEE: Look, I think he's proposed -- Mitt Romney has proposed $5 trillion of tax cuts heavily aimed at high-income people. And that's going to be the premise of, what makes you think that that economic policy is going to work? GOOLSBEE: I mean, it didn't work when they did it before. STEPHANOPOULOS: He says he wants the wealthy to pay the same share they're paying today. GOOLSBEE: I know he says that, but it is literally impossible. If you look at his numbers, it's a cut of $5 trillion. Each of the following costs about $1 trillion: abolish the estate tax, abolish the AMT, cut the top marginal rate from 35 percent to 25 percent, cut the corporate rate from 35 percent to 25 percent. The only loophole closings that he says are going to pay for that don't even remotely come up to adding up to it. And so that's why, if you're proposing gigantic tax cuts aimed at high-income people, and you're making that the premise that that's going to lead us out, then you've got to once again say, well, what happened in places where they did that, like in the United States in the 2000s? It didn't work. STEPHANOPOULOS: If you look at the numbers, isn't Austan right? I mean, there's no way you can make up all that revenue simply by limiting deductions for wealthy people. PAWLENTY: Well, first of all, George, a number of things. The president's message, it could be worse and it's somebody else's fault four years into his presidency, that's not a basis to re-elect somebody. We don't give out participation ribbons for being president of the United States. You actually have to do something. His signature accomplishment, Obamacare, is unconstitutional. PAWLENTY: And, though, he's proposing to reduce spending from its current highs back to the historical norms of less -- no more than 20 percent of the GDP. VANDEN HEUVEL: You know, I mean, you talked about a shrinking presidency. What's shrinking is our economy, and it's largely because any independent economist -- we've heard from Moody's saying that Romney's plan would make the economic situation worse. To invest in this country at this time, to understand that joblessness is the greatest crisis this -- this country faces, is something I think the president is beginning to step up to. When the jobless numbers came out in February, he didn't sit back and say, "Well, I did this, I did that. I'm just going to sit back." We said we've got to keep fighting for jobs. President Obama has a jobs plan. Mitt Romney does not. PAWLENTY: ... how's it working? How's it working? VANDEN HEUVEL: How's it working? PAWLENTY: ... Garth Brooks song, long neck bottle, let go of my hand. When you're the president nearly four years, you don't get to -- you're the leader of the free world, president of the United States, you don't get to shrink back and say it's somebody else's fault. VANDEN HEUVEL: Has he saved the auto industry in Mitt Romney's state? Has he? PAWLENTY: Has he saved the auto industry? PAWLENTY: That would have been saved under Governor Romney. STEPHANOPOULOS: Let's bring in George Will on this. GOOLSBEE: I don't agree with that premise. WILL: The top 10 percent are paying more in income tax than the bottom 90 percent. How progressive do you want this to get? WILL: Didn't the recession help? GOOLSBEE: The -- yes, but you can't at the same time say the government's spending has gone up -- much of which is from the recession -- and blame that on the president, but not give him any credit for cutting people's taxes. VANDEN HEUVEL: And you know who the job-creators are? Seventy percent of demand come from consumers. If we can get money in their pockets -- corporate profits, George, are at a 45-year high. Tax rates on the wealthiest, who should pay their fair share I believe, probably at a century, decade low. DOWD: I want to go back to those focus groups we saw, because I think this is what the fundamental problem I think with both political parties in this country and the leadership on both sides of the aisle in this, is there seems to be an inherent incapability to tell the American public the truth, to tell the American public what's ahead for us, to tell the American public that we can no longer do certain things that we have to do, to tell the American public that we have to have a shared sense of sacrifice, that we can no longer have the state of government that we had and we can no longer have the tax policies that we have. And we're having a debate on both sides of the aisle right now where one side, the Democratic side, says government -- bigger government can fix this problem, and the other side of the aisle, the Republican side of the aisle, says let's keep cutting taxes and that will fix the problem, when the truth is neither one of those solutions will fix the problems that address -- that are in the American public today. WILL: Mitt Romney is not, anyone will admit, a stand-up comedian. You are (ph), but Romney isn't. But Romney said something very funny the other day, and I think there's a gem -- germ in there of a real campaign theme. He said suppose the government were in charge of cellphones. The government, first of all, wouldn't have given us a preclearance for it. When it finally did, it would award one single contract to an Obama contributor, and the result would be a phone the size of a shoe and powered by a solar panel. GOOLSBEE: You know that I'm a friend and a fan of yours, George. But that's totally outrageous, crazy. Look, the -- the fact is, it is not the position of the Obama administration or the Democrats that they -- that we ought to expand government and make it bigger as a solution to the economic problem. DOWD: ... certainly a doing great job pushing it. GOOLSBEE: It's absolutely not true. DOWD: Oh, come on, Austan. GOOLSBEE: And so the president -- look, the president had put forward a budget that is fundamentally let's cut $4 trillion from the long-run deficit with balanced sacrifice that comes 75 percent from cuts and 25 percent from new revenue. And the Romney program, which is based on the Ryan plan, is twice as much cuts, plus multiple trillion dollars of less revenue. GOOLSBEE: ... and see what the two things are in, I don't think they're going to pick that Republican way. DOWD: My son's -- my son's propose cutting the lawn, but until they cut the lawn, I don't believe the lawn is going to get cut. DOWD: If the Democrats -- if the Democrats and the president -- this is -- if the Democrats and the president really want to cut the budget, the budget would be cut. VANDEN HEUVEL: But I want to pick up on something Matthew said -- Matthew said about shared. You know, what's happened to the idea of public-private, of -- the Chamber of Commerce came out a year or so ago and supported the president's investment in infrastructure. Now it's stepped back and is basically pumping money into defeating any Democrat who speaks toward that. Shared, the demonization of government seems to me totally counterproductive in terms of the possibilities of rebuilding this country and reinvesting in what has made this country strong. OBAMA: Excuse me, sir. It's not time for questions, sir, not while I'm speaking. OBAMA: Yeah, I didn't ask for an argument. I'm answering your question. It is the right thing to do for the American people. STEPHANOPOULOS: But will his plan to block deportations of undocumented young people pay dividends come November? And the attorney general under fire on the Fast and Furious debacle and those illegal leaks. COLBERT: Now the cat's out of the bag. The terrorists know we have drone strikes. Before this leak, Al Qaida thought their leaders were just spontaneously exploding from natural causes. Maybe -- I don't know, maybe bad hummus. OBAMA: These are young people who study in our schools, they play in our neighborhoods, they're friends with our kids, they pledge allegiance to our flag. ROMNEY: People are looking for a long-term solution, not something that's temporary through an executive order. (UNKNOWN): There's no coincidence that this sweeping policy change was announced less than five months before a presidential election. (UNKNOWN): We're talking about, again, young people, they were brought here through no fault of their own. BECK: He is just in a breathtaking fashion seizing power. This is exactly what a dictator does. STEPHANOPOULOS: And we're back here with our roundtable. You heard Glenn Beck right there, and this was echoed, I think, by John McCain, George Will, said this was a political power grab. The president said it was the right thing to do. Who's right? STEPHANOPOULOS: The president said he tried and it couldn't happen. WILL: Well, that's too bad. Our system is designed to be difficult to move, and if it doesn't move, you try and try again. You don't just say, well, the Constitution is fine, I gave it one try, then we'll do something else. Look, he knows the Republicans have a problem. They spent the primary season competing to see who could build the longest, thickest, tallest, most lethally electrified fence, and Hispanics listening to this detected hostility. They're funny that way. And so Romney has a big hole to dig out of, because if he gets under, say, the 31 percent of Hispanic voters that McCain got, he's going to lose. STEPHANOPOULOS: And, Governor Pawlenty, you saw what Governor Romney said. He said that he wouldn't have done it this way, but he's not saying he's going to repeal it. PAWLENTY: Well, I do want to take issue with one thing that George said, with all due respect. You know, President Obama had a Democrat Congress. He looked the American people in the eye when he ran last time and promised that he would do his version of comprehensive immigration reform in his first term. He had the full run of the table, and he failed to get it done, like he's failed to get so much else done. But as to this particular issue, George, in addition to that, Governor Romney has said, look, obviously, we need to find a reasonable solution for children who come to this country through no fault of their own. He's spoken about, of course, enforcing borders and having employment verification, but as to this issue, he's expressed an openness to try to have a permanent long-term solution. STEPHANOPOULOS: But he was for vetoing the DREAM Act. VANDEN HEUVEL: Yes, I mean, Rick Perry made -- you know, Mitt Romney made Rick Perry look like a dreamer. You know, I think it was an act of true leadership on the part of the president. All these people -- I think Mitt Romney talking politics, oh, why didn't he do it four-and-a-half months before? Please. I'm shocked. But I think you've got to remember that there was a movement behind this, the DREAM movement, thousands of young people in this country who've fought for this step. I believe it was a brilliant political move because it reveals the intolerance of the Republican Party. And you hear Jeb Bush deeply worried about many things, and one of that is that the party is doomed if it doesn't reconnect with Latino voters. And I believe the president, in light of congressional failure to act, was within his authority. The Emancipation Proclamation, George, at a different moment, great presidents, if pushed beyond the limits of their politics by movements, take steps when Congress fails to act. WILL: The Emancipation Proclamation was an act of the war power of the president during a war. STEPHANOPOULOS: For those people -- for those population. DOWD: ... for those people, that was the right thing to do. I don't think Republicans disagree with it. I think the Republicans disagree with the way it was done, but what was done was the right thing to do. Of course it was great politics, in the midst of an election cycle, where the Latino vote could ultimately decide this election. And anybody that's on the opposite side of Glenn Beck is going to look rational. So I think all of those things, I think Romney is put in a -- not a very good defensible position on this, because he has to argue it should have been done differently, but the president did the right thing in most people's minds, and it is a great political move. WILL: Since Lyndon Johnson, Democratic presidential candidate have generally lost the white vote. Barack Obama is the first person ever to win the White House losing the white vote by double-digits. He lost it by 12 percent. He's having terrible problems with what used to be the Democratic Party's base, working-class whites without college education. Therefore, he needs to energize the Latino vote as never before, and this is a good way to do it with a good policy. GOOLSBEE: Look, I think it is a good policy. I think it is the right of the administration to -- if they -- if they have limited enforcement budget, to decide whether we're going the enforce these before those. And that was the root of that they did this. I don't think it's unconstitutional in any way. PAWLENTY: Austan, he had a Democrat Congress. GOOLSBEE: ... and he was getting filibustered in every possible way and opposed by the Republican Party. PAWLENTY: I want to be clear on the record. PAWLENTY: Austan, in fairness, he spoke about it just recently and throughout. So on this issue of children through no fault of their own, you know, he's been open to trying to find a permanent solution. But when you have a president who didn't do it when he could have, in those first two years, Latino and Hispanic voters aren't going to be -- want to be duped twice. And, by the way, they're not a monolith. They don't just care about immigration. They also care about the economy and jobs and health care and whether they can afford their kids' college tuition. They look at this economy, and I think they're going to say, how did -- how did it work under President Obama? STEPHANOPOULOS: You would concede -- even Mitt Romney I think said that the Republican Party is doomed if they don't do better with the Hispanic vote. What more can Governor Romney do between now and November to get his numbers up? Because I think he's got about a 50-point deficit right now. PAWLENTY: Well, he has spoken I think consistently and regularly about immigration issues, and -- but he also has talked about the need to have an economy that's growing. And, again, this idea that -- that Hispanics and Latinos only care about immigration -- it's an important issue, tone is important. You have to have reasonable solutions, which he does. But to say that's the only issue, a referendum up or down on that, they also care about the economy. And I think he's got a strong message on these other issues that we're talking about. VANDEN HEUVEL: But, you know, who you -- again, we heard Governor Jeb Bush speak this past week. Who knew a Bush would be a heretic? But he is deeply worried about the fate of his party, because it will be doomed if it can't connect with Latinos. Marco Rubio came out with his own version. You can see it's not just Mitt Romney. It's the base of this Republican Party as currently constituted. Mitt Romney had to pull back, didn't he, after saying he sort of supported Marco Rubio's plan, he didn't. So there you see a party betwixt and between, where you have a candidate who's running for president who -- whose policy was self-deportation? VANDEN HEUVEL: The Latino movement that is erupting in this country isn't going to support a party whose champion is talking about self-deportation. PAWLENTY: Governor Romney said that he would consider Marco Rubio's legislation. It hasn't been forthcoming yet. But he also said yesterday on this issue, Marco Rubio, that he didn't like the president's approach. Alberto Gonzales didn't like the president's approach because it was political and temporary. It's not a solution. STEPHANOPOULOS: Let's pick up a little bit more of the Jeb Bush statement that Katrina just mentioned. I want to get, George, you to respond to this. Here's what Jeb Bush also said in this interview with Bloomberg. He said Ronald Reagan would have, based on his record of finding accommodation and finding some degree of common ground, as would my dad, they would have a hard time if you define the Republican Party -- and I don't -- as having an orthodoxy that doesn't allow for disagreement, doesn't allow for finding some common ground. He's saying basically, they wouldn't have a place in the modern Republican Party. WILL: Well, let's look at the facts. Since Ronald Reagan, the Republican Party has given its presidential nomination four times to the Bush family, other times to Bob Dole, John McCain, and Mitt Romney. Where is the extremist in that lot? WILL: And in the budget deal, it was said, for every $2 of -- every dollar of tax increase, there would be $2 of spending cuts. The tax increases went into effect, and spending increased. We're going through this -- we go through this all the time. But 20 years after a conservative leaves the scene or dies, he becomes acceptable. They say if only people were more like Ronald Reagan and that wonderful libertarian curmudgeon Barry Goldwater and that fine fellow Bill Buckley. I worked for Bill Buckley, voted for Barry Goldwater, knew Ronald Reagan, and no one talked about them on the left that way at that time. DOWD: I think this -- I think this -- what he's saying and then what the -- the conversation that's had afterwards, which goes to something we were talking about earlier, is I think there's a sense in rational, reasonable people in both sides of the aisle that there's not a place to have a conversation that you don't get thrown at, that there's not a place to go to a place in the middle and say we can resolve these differences, we can get this stuff done. It's what those focus groups said over and over, I don't know if I trust any of them. That people like Jeb Bush or something say one little thing or they criticized Grover Norquist or Bill Clinton said something about Barack Obama and he has to back way off or Cory Booker says something, that anybody trying to get anywhere close to the middle and say let's come together and figure out these problems, on either side, the left or the right, gets bombarded. STEPHANOPOULOS: I do want to get to that, because the president also made an argument building on that in his speech this week, where he said basically this election is about breaking the stalemate. We've seen these big ideas come out on both sides on the economy for a generation now. This election is going to determine it. OBAMA: What's holding us back is a stalemate in Washington between two fundamentally different views of which direction America should take. This election is your chance to break that stalemate. GOOLSBEE: I think -- I think you're right about that. I think the -- the way this stalemate would be broken, ironically, I think, is anything that strengthened the center relative to the extremes. Now, we saw that the -- if the extremes really get enough power, they can scuttle any agreement. You saw at great detriment to the economy and to our general sense of how -- how Washington is doing last summer in the debt ceiling negotiation. If what came out of this election was a narrow victory for one side or the other, maybe it's divided government, but it's sort of strengthened the hand of the adults versus the -- the people attacking the center. Maybe you could break the stalemate and get a grand bargain, for example. I think it's going to be hard. DOWD: I think -- I think the president -- the only thing I'd say about the president -- I think his message is right, but he should start with a mea culpa, because the president in 2008 ran on this exactly same message. President Bush ran on this and didn't do it and basically made the country more polarized. President Obama ran on this message and then pushed a signature piece of legislation in one of the most divisive ways, the health care reform bill, in one of the most divisive ways, where he did not meet with Republicans. He doesn't go to the Capitol and meet with Republicans. His message is right, but he has to practice what he preaches. And I think if he stood up and say I messed up, I didn't do what I said I was going to do, I'm going to try to do better, but he's one of the first ones to blame on this. VANDEN HEUVEL: ... but that's nonsensical. Really, I mean, no, I mean, he reached out. He came to Washington to be a compromiser. DOWD: How many meetings did he have? VANDEN HEUVEL: Mitch McConnell and Senator DeMint basically announced they wanted to take him down from the very beginning. The adults in my sense are not in Washington. I think the key fight is to take on the establishment consensus around austerity. I mean, this idea of shared sacrifice, let's be honest, millions of Americans in this country have not shared in the growth or possibilities of this country or the bacchanalia that happened on Wall Street. So the other factor is something that Norm Ornstein, no radical, at AEI, a fellow, speaks about in terms of this new Republican Party in the last years or so. WILL: They don't believe the spending cuts will occur. VANDEN HEUVEL: But the shared sense -- again, I believe that millions of Americans haven't shared in the sacrifices in this country, but there has to be some sharing, and that will lead to possibility of breaking the stalemate. With the inequality in this country, you can't have that. VANDEN HEUVEL: Governor Pawlenty, with all due respect -- Governor Pawlenty, with all due respect, the Democratic Party, which I have real problems with parts of, remains a coalition party in the classic American sense. PAWLENTY: They all do. They all do. VANDEN HEUVEL: You have corporatist Democrats. You have the Congressional Progressive Caucus. PAWLENTY: But I want to say one other thing, George, on this. VANDEN HEUVEL: It's not like the Republicans. PAWLENTY: There is one person that can lead the change. Congress is a lagging indicator, always has been. You know, they look around at what's happened and try to respond to it. There is only one position, there is only one person who can be the nation's vision-caster, who can be the person who leads and takes the hit to get things done. And if you study history, that is almost always the president. And you have in Barack Obama somebody who's never had an executive position prior to becoming president. He promised this, you know, willingness to be bipartisan. He quickly turned away from that and turned into one of the most partisan presidents in history. And to have the arsonist become the firefighter, it just doesn't make sense. It doesn't make sense. STEPHANOPOULOS: I want to go to -- I want to go to George Will, then, but given that it's likely to be closely divided, isn't Governor Romney, as part of that leadership, going to have to accept at least some of what Democrats are calling for coming out of the election? And that would mean more revenue increases than he seems to be willing to accept right now. PAWLENTY: He doesn't believe we need more revenue. If you look at what's out of line, you look at the revenue increases relative to the growth in the economy, it's not that the revenues aren't increasing. The Democrats are saying we have to have tax increases so we can keep all the stuff we have. We can't keep all the stuff we have. The -- mathematically, it's unsustainable. WILL: With regard to the president's complaint about the way the system works, our system was designed for stalemate much of the time because the founders understood that 90 percent of good governance consists of stopping things. Woodrow Wilson complained about the separation of powers. He was the first president and our first great progressive president to complain about the structure of the Constitution. Franklin Roosevelt tried to pack the Supreme Court to break the logjam, as he understood it. The logjam is not a defect. It is an American achievement to slow things down. VANDEN HEUVEL: ... Franklin Delano Roosevelt and Lyndon Johnson were able to work with Congress. They cut deals. They knew the power of compromise, but they knew the power of strong principle and advancing a vision for this country. And I think, with all due respect, Governor Pawlenty, the idea that President Obama is an arsonist sounds a little like Newt Gingrich going to the country the other day or to a fundraiser and saying that if he didn't vote -- that a vote for President Obama would be unpatriotic. To me, that is language this country doesn't need in times of economic pain. It sounds awful Palin-esque. DOWD: ... Sarah Palin, that's an insult? GOOLSBEE: I think Matt's right that we ought to come forward -- and both sides -- and the president should have a mea culpa, that we have gotten into a place that was very different from what the campaign wanted it to be from 2008, one in which -- and, look, I think you could blame more the Republicans, but I'm sure the Republicans would say more you blame the president, but we got to -- we got to back away from that. Otherwise, we're not going to be able to confront this pretty serious challenge at the time when we -- when we could do it. The -- if there is someone on the other side that's willing to meet the president there, I think that they could get a deal. You saw the glimpse of that last year. If they're going to come at it like it's the old East German judge at the Olympics, where before the president has ever said it, even if the president says, here, I'm going to do a thing that's historically Republican, they're giving him a two no matter what, I don't think it can work. STEPHANOPOULOS: I want to get (inaudible) we're seeing the consequences of stalemate pretty much across Europe right now, but especially in Greece, where they are voting today. It could be an election where the consequences are Greece leading the euro, financial crisis spreading across Europe. How important, George, is this to our election, our economy here at home? What do you think's going to happen? WILL: I don't know how much the markets have already discounted failure in Greece. But, look, the problem with the euro was predicted. It was founded in 1999, and Milton Friedman said it'll be dead in 10 years. He was off a few years. The euro was invented to try and strengthen the European Union. They got it backwards. You needed a real union, of cultural and economic and political harmony. Instead, the European Union today has a flag no one salutes, an anthem no one sings, a president no one can name. It's a fiction, and a destructive fiction, because what they told the Europeans was pool your sovereignty -- that is, we'll have elimination of self-government, but in exchange for that, you'll get prosperity. Today they have neither prosperity, nor self-government. DOWD: ... Allentown -- Athens could have more to do with the results of those election. I think a more fundamental question that I don't think that we've asked -- and it keeps happening over and over and -- how longer are we -- how much longer are we going to prop up broken systems? How much longer are we going to keep propping up broken systems and not making them accountable? STEPHANOPOULOS: But that gets into an important question. If you don't do the propping up in the short term, isn't there a lot of pain that is visited on real people? DOWD: And that's the truth that the politicians are unwilling to tell the American public. VANDEN HEUVEL: But, you know, the human costs of what we've seen in Europe are in some ways comparable to Allentown. Put aside Greece, because I think it's different, but what we're seeing in Spain, 50 percent youth unemployment. We are witnessing the verdict that austerity has failed. In a contrarian way, I disagree with George. I think that if you could slow down the fiscal consolidation and have that consolidation be built around a growth politics, not an austerity politics, that the idea of a united Europe is a visionary one and was a great -- you invoked Woodrow Wilson. It was JonBenet (ph), it was others who spoke of the possibilities, but the austerity will be what we live with in this country if we witness a Romney doubling down on the spending cuts. WILL: ... let's talk sense to the American people. Let's tell them there are no gains without pains. We have to say that in Sacramento. We have to say that in Springfield, Illinois, because Matt is absolutely right. An entire social model is crumbling before our eyes. GOOLSBEE: ... a lot the economics -- we know a lot about how do you hold countries in a monetary union that are very different economies. And, unfortunately, the answer is, it's going to take a lot of big subsidies, it's going to be very expensive, or else it's going to be a long, hot summer. So I think the White House has got to be quite concerned about that. GOOLSBEE: George, I know -- I know you got friends and family in Greece. I think it's going to be a tough couple months for the Greeks. WILL: The White House must be petrified that the most important man in their life in some sense is a guy named Mario Draghi, who no one knows. He's the head of the European Central Bank. And he can have a vast effect on our election here. STEPHANOPOULOS: ... I think that is exactly what they're most worried about right now. It's a dead-even race. As you were pointing out before, I think the White House before this month began was feeling much better about where they were in the states that matter the most, but they're the first to admit that they -- they don't know what they don't know right now, and they're much more worried about the things, as you say, they can't control. And I'm afraid that's all we have time for today. "Your Voice This Week" is coming right up, but first, a trip into our video vault, three moments from "This Week" history. What year was it? STEPHANOPOULOS: The death of Princess Diana. Hillary turned 50, and we debated her future. (UNKNOWN): Run for president someday? I think that, you know, she wouldn't want to go out fundraising these days. STEPHANOPOULOS: And David Brinkley's final broadcast. BRINKLEY: I'd quote Shakespeare, who said all's well that ends well. My time here now ends extremely well. Thank you. STEPHANOPOULOS: Was it 1997, 1998, or 1999? We'll be right back with the answer. STEPHANOPOULOS: Forty years ago today, the Watergate break-in. I'm back here with George Will and our roundtable. And, George, Woodward and Bernstein come out this week and say, 40 years later, it's even worse than we thought. WILL: They had in this latest episode of their ongoing journalism about this the story of the president of the United States urging repeatedly and explicitly a safe-cracking break-in at the Brookings Institution, for Pete's sake, to get some silly report out of a safe. The fact is, however, that our much maligned system, for all its creakiness and chaos at times, worked, in the sense he got caught, he got removed. GOOLSBEE: When you roll the credits at the end of the movie, what happened to the characters in the future? The Watergate got wrapped up in the commercial real estate bubble, bought by a private equity company, went into foreclosure. The office is now occupied by staff from the Iraqi embassy, and Ron Paul accused the Fed of having orchestrated the break-in. They did a 16-month investigation, which came out in April. The Fed had nothing to do with it. STEPHANOPOULOS: That's the last word. Now we honor our fellow Americans who serve and sacrifice. This week, the Pentagon released the names of four soldiers and Marines killed in Afghanistan. STEPHANOPOULOS: So what year was it? When did Hillary Clinton turn 50 and David Brinkley give his final "This Week" homily? Fifteen years ago, 1997. And you can see David Brinkley's whole farewell on our website at abcnews.com/thisweek. And in "Your Voice This Week," we got so many messages of support for Robin Roberts, like this from Mary Schmidt. "Keep us posted on Robin. I will be saying a prayer of healing for her." We got so many like that, as I said. I know Robin is gaining strength from it, is inspired by it, and we all believe she is going to get through this and come back stronger than ever. That's all for us today. Check out "World News" with David Muir tonight. And thanks for sharing part of your Father's Day with us. I'll see you tomorrow on "GMA."